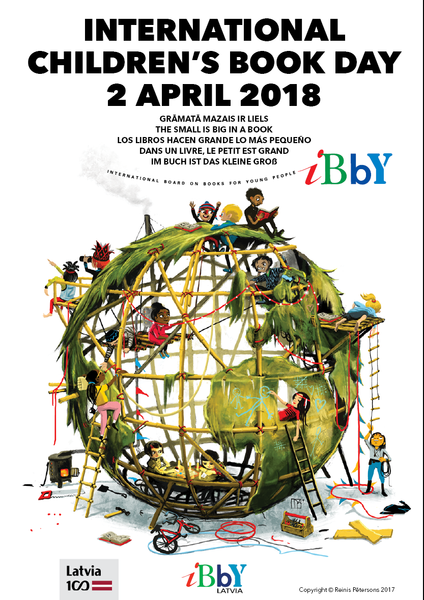 On April 2nd, readers around the world celebrate International Children’s Book Day, which is also the day that the Danish author, Hans Christian Andersen was born. To celebrate, I am going to read my granddaughter, Holly, one of Andersen’s famous tales. Some of our most popular children’s stories today are updates and modernized versions of his classic stories. Disney stories like “Frozen,” for example, is a retelling of Andersen’s “The Snow Queen,” and he also wrote down the original story of “The Little Mermaid,” which Disney also retold. Whether you are a parent, a grandparent, a teacher, an older brother or sister or another caregiver, reading aloud to our children is so important! It improves their ability to listen, to dream and to create as well as helping increase verbal skills. It’s also a great, frugal and fun activity for your whole family to enjoy! I still haven’t decided which story I will read to her. What are some of your favorite fairy tales and stories for children? Next On a Diet? This Healthy Snack Can Help You Resist Cheating!